Healthcare Fraud Shield’s Latest Article: What’s in the Cup (Urine Drug Screening)? With the focus on the Opioid crisis in this country and the increasing number of overdoses and deaths, prescription drugs have come under closer scrutiny. It is not just a billing issue, but also a patient care and safety issue. With those thoughts in mind, let’s take a look at Pain Management and the use of Urine Drug Screening (UDS). A pain management physician may employ various means to address the patient’s complaint(s). The Centers for Disease Control (CDC) published Clinical Guidelines for prescribing opioids for chronic pain. [i] When narcotics are employed in the treatment of pain, UDS is an important component of the treatment regimen. 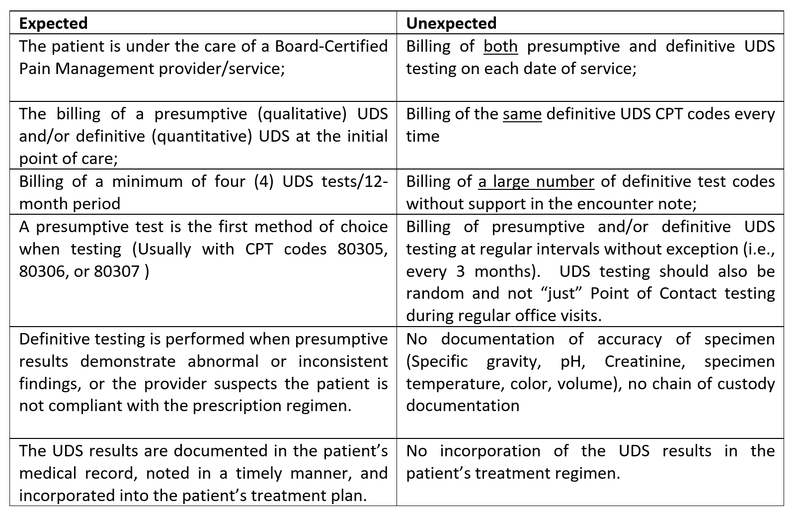 Not only can a UDS provide the physician with an accurate picture of the member’s compliance with the prescribed medications, but it can also aid in the detection of drug diversion, drug supplementing, and the use of illicit drugs[ii]. If you have any questions or comments, please contact SIU@hcfraudshield.com. Healthcare Fraud Shield Latest Article: Are You Seeing an Increase in Digital Medicine Billing?